Anyone with a passion for technology should be aware of Akihabara; the buzzing central-Tokyo district is sometimes even called the “tech capital of the world,” and unsurprisingly the best things to do in Akihabara revolve around tech and otaku (“geek”, or manga and anime lovers) culture. 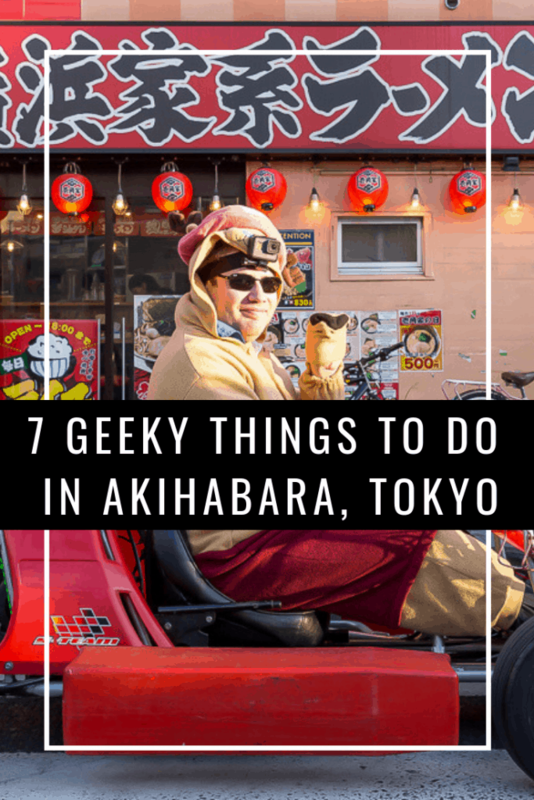 As one of Tokyo’s most famous and distinct neighborhoods, Akihabara should be high on your Japan bucket list, right up there with places like Mount Fuji and Kyoto, even if you’re not a tech junkie. Love it or not, Akihabara represents a crucial component of Japanese society and culture, and can’t be missed! The name Akihabara is derived from Akiba, a fire controlling deity connected with a firefighting shrine built after a fire destroyed the area in 1869 (not to be confused with the Great Fire of Meireki, some 12 years earlier). 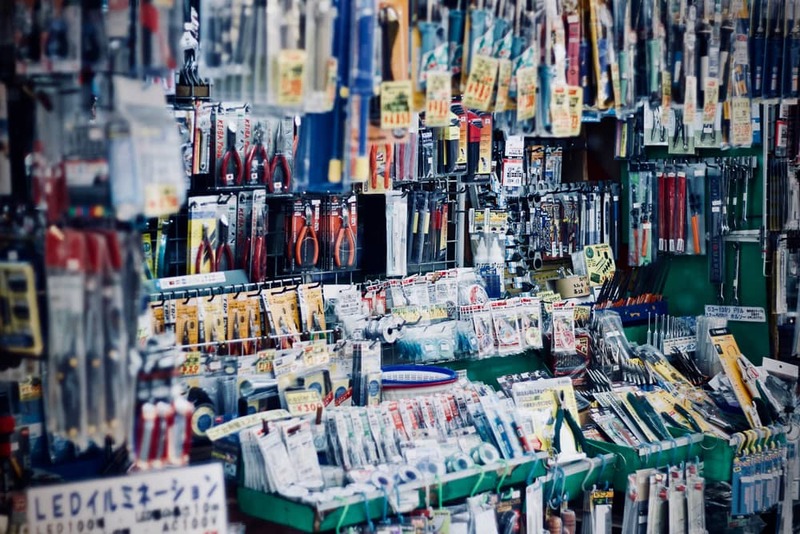 After WWII, the district came to be known as Akihabara Electric Town for its high concentration of electronics stalls and stores, many of which took form to sell leftover supplies from the Japanese and American armies on the black market. As you can probably imagine, there is a lot more geek appeal to Akihabara than just buying electronics, though. When computer and gaming culture blossomed in the 1990s, Akihabara transformed into a veritable otaku magnet. Akihabara is replete with stores selling all manner of video games, manga, anime, and associated paraphernalia, not to mention maid cafés and more. Here are seven ideas for geeks in the holy grail of technology. 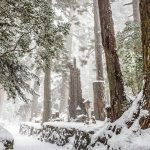 Japanophiles: get out your pencils (or digital notepads) and start taking notes! 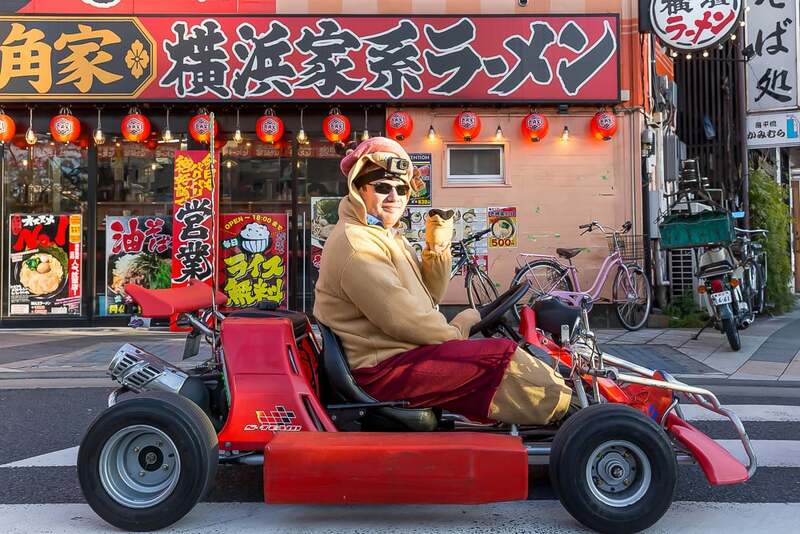 Probably the hottest and most talked about new thing to do in Akihabara is to zip around in a go-kart. If this sounds more adventurous than geeky, think again! You can choose to do it in full on cosplay gear! Another option is this MariCar Go-Kart deal, where you can do it dressed as your favorite cartoon or Mario Kart character! The go-karts can travel up to 60 km/hr, and you are free to drive anywhere you want in Akihabara or beyond, with options from 1 to 3 hours. What are you waiting for? And don’t forget your camera gear! Go back to where it all started, the Akihabara Radio Center, for a taste of the original Akihabara Electric Town. Opened in 1949, the center was devoted to radio, transmission, and later, computer parts. Rows upon rows of shelves and crowded back-alleys bursting at the seams with every electronic part imaginable. It is said that you could literally built a PC from scratch with these parts (Geeks: you have officially been challenged!) For an online version of the kind of stuff available there, check out RS, just to give you an idea. The Akihabara Radio Center is only about a minute from JR Akihabara station, but keep your eyes peeled, as the entrance is easy to miss! So what’s the deal with maid cafés? As the name suggests, patrons are served by young women dressed in kawaii (cute) costumes or as maids. You may pose for photos with the maids (often this requires an extra charge; make sure to ask first! ), or in some cafés listen to them sing songs. The food of course tends towards the cute, as does the décor. 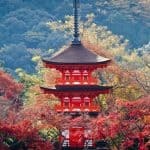 Usually there is a minimum charge around ¥500-1000. Above all, remember not to be a creep here. Do as the Japanese do; be polite and quiet, never touch the girls, and don’t be surprised if you end up giving free English lessons to the maids or other customers. 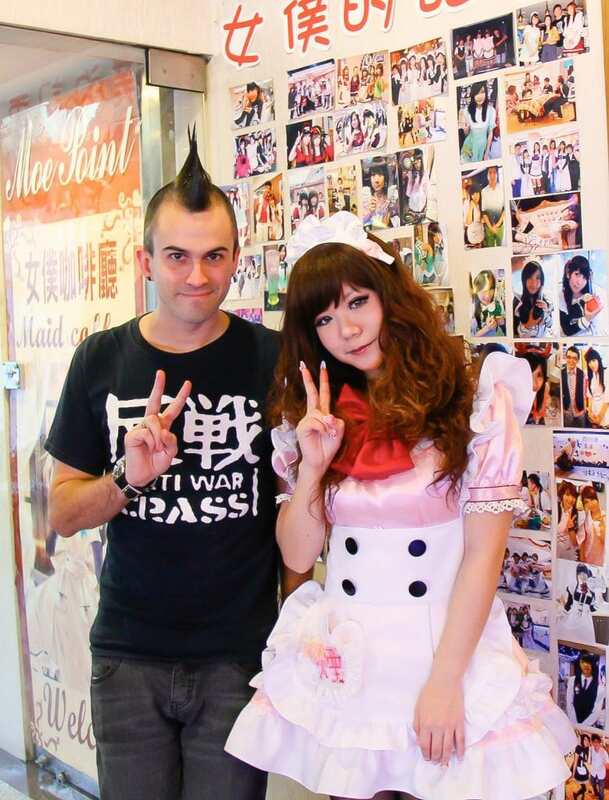 We recommend Maidreamin Tokyo (11:30 a.m. to 11:00 p.m. weekdays, 10:30 a.m. to 11:00 p.m. weekends), where the service is great and the foods are served extra kawaii. Desserts are especially recommended, and some visitors report you may have to meow to get service. Now that we’ve jumped from go-karting to radio parts to cosplay maids, it’s time for some robots! 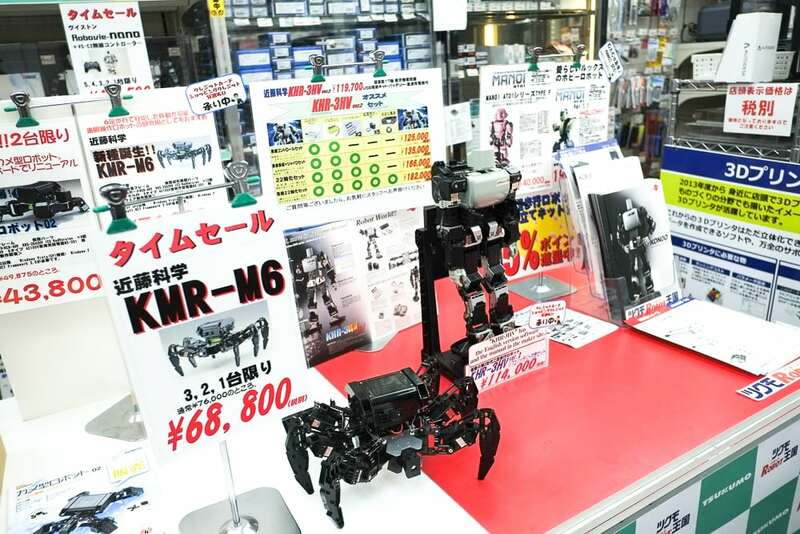 This specialized retail store sells everything you could think of related to robotics, including impressive ready-made robots, along with everything that you need to make your own robot. Make sure to check out the bipedal humanoid robots that can walk, or the robot racing section. They’ve even got electronic robot kits for kids! Find the shop on the 4th floor of the Tsukumo PC Store II in the center of Akihabara, a short walk west of Akihabara station. Mandarake is widely considered to be the biggest manga and anime store in the entire world. This otaku’s paradise is filled with second-hand goods that include games, dolls, magazines and just about anything related to manga and anime fathomable. No matter what you’re after here, from mainstream to outright fetish and weird, you’re sure to find a few gems here. Looking for cosplay gear and dolls? Head to the second floor. 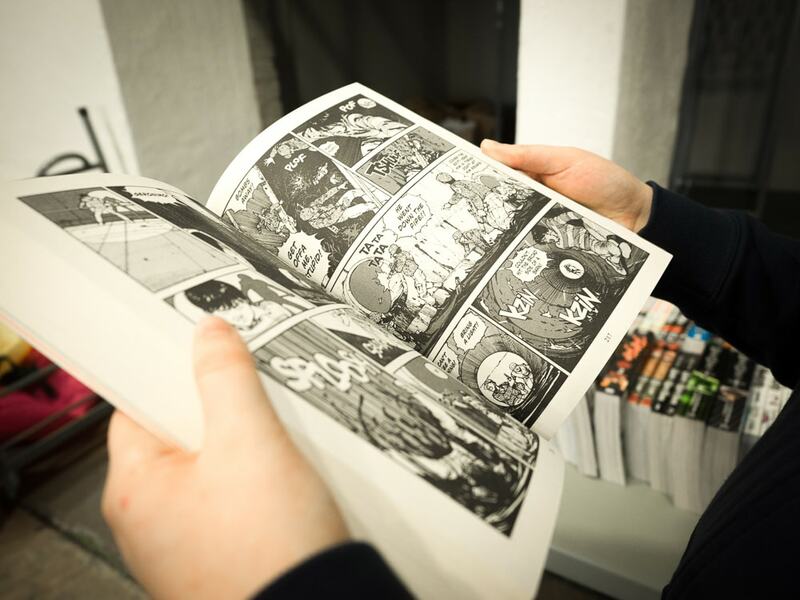 The third floor is chock full of manga. The 4th floor caters to male dojinshi, while the 5th floor is female dojinshi and comics. On the 6th floor, you’ll find CDs, DVDs, and games. Last but not least, the 7th and 8th floors are all about toys, cards, and more. Bring lots of cash! Mandarake Complex is open noon to 8 p.m. daily and is a five-minute walk from Akihabara station. Chances are you’re going to get hungry after all that shopping and hopping around the geeky Akihabara sights, so why not take a break and dine on something a little unusual to complete your day? 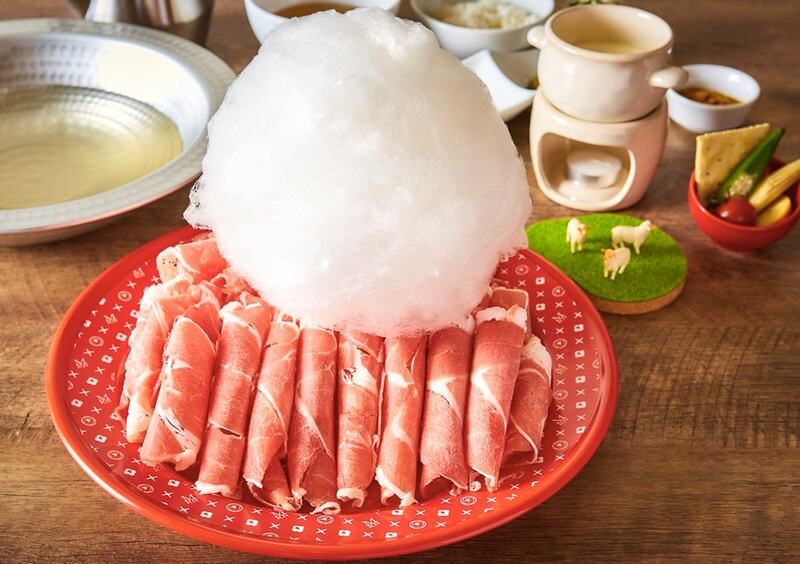 At Merino (めり乃) Creative Lamb Hotpot, plates of lamb and beef are topped with a huge ball of cotton candy. The candy melts instantly when added to the shabu shabu, adding a hint of sweetness to the broth, and you also get to enjoy cheese fondue. All the dishes are creatively presented, and wine is available. It’s all-you-eat, and you’ve got a two hour limit to chow down! Make sure to reserve online before you go! If you haven’t had enough of electronics and geek culture by now, then you are about to face the ultimate end: 9-story Yodobashi Akiba, a megastore branch of Yodobashi Camera at the heart of Akihabara. So much more than just cameras, here you will find a mind-boggling range of high-tech products and see some truly amazing technology on show. 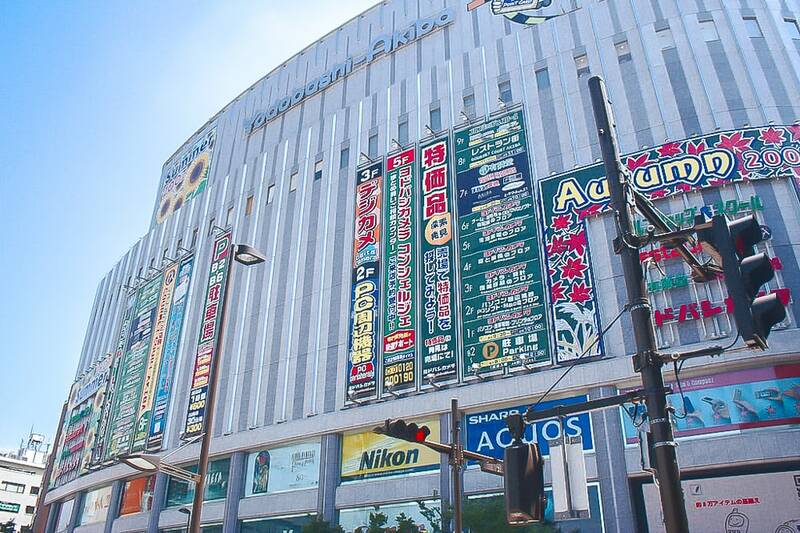 See here for a complete guide to Yodobashi Akiba, include what’s for sale on each of the nine floors. Yodobashi Akiba is open from 9:30 a.m. to 10:00 p.m. every day of the year. These are just a few of the best things to do in Akihabara. 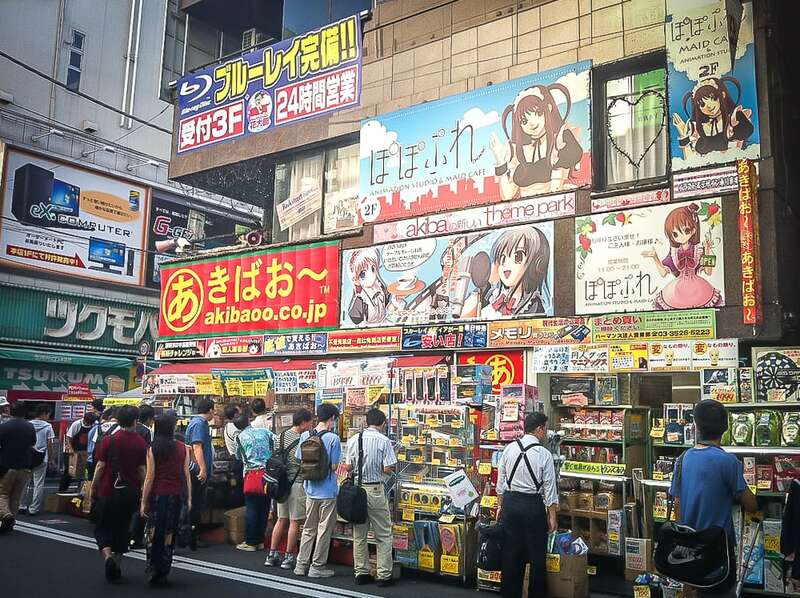 For tech junkies, you’ll be in heaven from the moment you step out from Akihabara station. Don’t be surprised if you find yourself spending a whole day here, leaving with your arms loaded with bags, but only wanting to come back again for more!